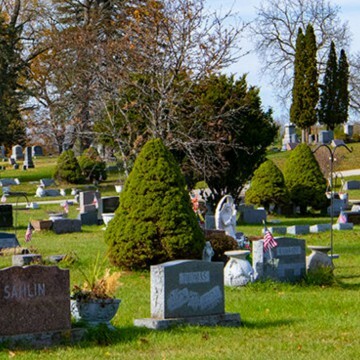 Use this directory to find residents of the Woodland Cemetery. Enter a last name (required), and optionally, any range of years for the resident's birth and/or death. Then click "Search the Directory". Woodland Cemetery is located at 550 W. Church Avenue, and borders the northwest corner of W. Church Avenue, Patterson Road and the southwest corner of W. Lincoln Avenue. The cemetery is owned and maintained by the City of Reed City. The official city record and cemetery information prior to November 1957 was destroyed in a fire at City Hall. A cemetery recording was performed in the mid 1980’s (about 1983), reading what stones were in place and legible at that time. Not all grave sites were marked with stones. Thus not all graves are identified and recorded. The record that exists has been updated and converted into a database, enabling the Directory Search functions shown on this page.